A tender moment between Nelson and Winnie in "Mandela: Long Walk to Freedom." Photo courtesy of The Weinstein Company. THERE is a fraction of figures in the last century – certainly the last 50 or 60 years – who few would argue don’t enjoy near worldwide adoration and/or respect. Gandhi, Mother Teresa and His Holiness the 14th Dalai Lama come to mind. And, of course, Nelson Mandela. The ailing elder statesman, lest one forgets, was not always accorded such reverence. In his younger days, he was a firebrand of the first order – and rightly so. One man's freedom fighter and another man's terrorist. This aspect of the man is chronicled in "Mandela: Long Walk to Freedom." The film, which had its world premiere at the Toronto Film Festival in September, opens today in a handful of U.S. theaters before opening wide in this country on Christmas Day, after debuting in France and the Netherlands on 18 and 19 Dec., respectively. The rollout continues across the world at least through early February 2014. 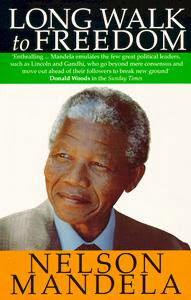 Based on Mr. Mandela’s autobiography of the same name, “Mandela: Long Walk to Freedom,” also chronicles his childhood and adolescence, university years, meeting of social worker Winnie Madikizela (Naomi Watts), his imprisonment and release after serving nearly 30 years of hard labor and deprivation. (See video below). “Mandela: Long Walk to Freedom” is important for numerous reasons. One of the most considerable is because so many know so little about South African aparthied, a system of injustice that is very similar to the shameful Jim Crow madness in the United States. Sure, in the 80s the masses in the United States became aware of the injustices in South Africa that were so reminiscent of what went down here. Little, though, was and is known about apartheid in its earlier stages. Further, even fewer know anything of real substance of Mr. Mandela before he was locked up. When America connected to the grid, Mr. Mandela had already been imprisoned for nearly 20 years. This film is an opportunity for viewers – particularly those who did not read the book – to begin an exploration into some of the events that shaped the man who is so revered today. More than a few will find “Mandela: Long Walk to Freedom” too reverential, familiar and frankly, at moments, lacking excitement. Precious few, mind, will have much with which to quibble in Idris Elba’s performance. 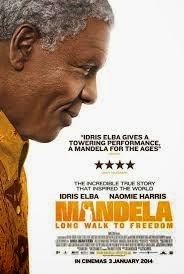 The British actor looks nothing like Mr. Mandela, yet so embodies him – seamlessly and effortless. Of course, this is an actor’s job. IE, however, is an actor with a capital A, of the very finest order. He cut his acting teeth, in part, at UK’s National Youth Music Theatre (http://www.nymt.org.uk/.) So different are the characters he’s played over the years, it’s as if a different actor is portraying each one. His Detective Chief Inspector John Luther in the BBC series, “Luther” (http://www.bbc.co.uk/programmes/b00vk2lp), for instance, is almost a polar opposite of the frightening Russell 'Stringer' Bell in HBO’s “The Wire (http://www.hbo.com/the-wire), though both are seriously involved in the business of serious crime. Of course, the accent sets them apart. At the core, however, these are too very different tortured men. If any actor can become the first African-descent James Bond – as some have suggested should be the case – it is IE. In “Mandela: Long Walk to Freedom,” IE has strong support, particularly from NH, who through force of acting chops makes WM a memorable and more sympathetic character in William Nicholson’s adaptation. The film, though, belongs to IE. As Mandela, he is electrifying and the Golden Globe winner won't be forgotten when award nominations and awards are bestowed. “Mandela: Long Walk to Freedom” is rated PG-13 for some intense sequences of violence and disturbing images, sexual content and brief strong language; visit http://www.mandelamovie.co.za/ to learn more about the film.